Our annual snapshot of the 100 women with the most impact are top politicians and CEOs, activist billionaires and celebrities who matter. In roughly equal measure you’ll find next gen entrepreneurs and media mavens, technologists and leaders in philanthropy — all ranked by dollars, media momentum and impact (see full methodology here). We’ve selected women that go beyond the traditional taxonomy of the power elite (political and economic might). These change-agents are actually shifting our very idea of clout and authority and, in the process, transforming the world in fresh and exhilarating ways. This year the list features nine heads of state who run nations with a combined GDP of $11.8 trillion — including the No. 1 Power Woman, German Chancellor Angela Merkel. The 24 corporate CEOs control $893 billion in annual revenues, and 16 of the women here founded their own companies, including two of the three new billionaires to the list, Tory Burch and Spanx’sSara Blakely. Speaking of, this year’s class has 14 billionaires valued in excess of $82 billion. Newcomers: Among the 15 newcomers on this year’s list are South Korean President Park Guen-hye (No. 11); Lockheed Martin LMT -0.47% CEO Marillyn Hewson (No. 34); CEO Tory Burch (No. 69); Spanx founder Sara Blakely (No. 90) and Baidu BIDU -3.98% CFO Jennifer Li (No. 98). Old friends: At this 10th edition, attention must be paid to the 15 who appeared on the inaugural list in 2004 and are still here today: Oprah Winfrey (No. 13), of course. Ditto for Hillary Clinton (No. 5). But there’s also Christine Lagarde (No. 7), Sonia Gandhi (No. 9), Indra Nooyi (No. 10), Helen Clark(No. 21), Nancy Pelosi (No. 22), Anne Sweeney (No. 24), Amy Pascal (No. 36), Queen Elizabeth II (No. 40), Abigail Johnson (No. 60), Ho Ching (No. 64), Diane Sawyer (No. 73), J.K. Rowling (No. 93) and Greta Van Susteren (No. 97). She’s No. 1: Chancellor Merkel has made the list eight times out of the past ten years — seven times as No. 1. 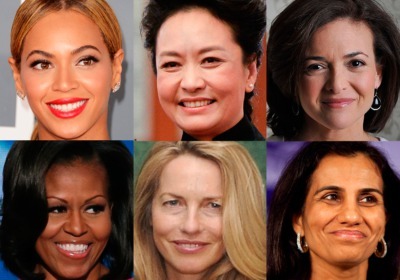 She’s the first: Forty percent of the women on the list are “female firsts,” such as African head of state (Liberia’s Ellen Johnson Sirleaf), billionaire to sign The Giving Pledge (Sara Blakeley), and CEO at IBM (Ginni Rometty). Hillary stays on: Clinton’s CV is chock full of firsts: The only first lady to become a U.S. senator turned viable presidential candidate turned secretary of state. Now a private citizen, she continues to be one of the most watched and listened-to women on the planet. 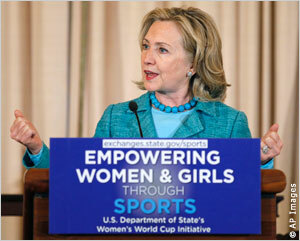 All bets on that she will be the 2016 Democratic presidential candidate and the free world’s presumptive next leader. She’s done little to quiet the chatter, including hitting the speaking circuit last month at an estimated $200,000 fee per event and inking a reported $14 million book deal. Where are the women in tech? 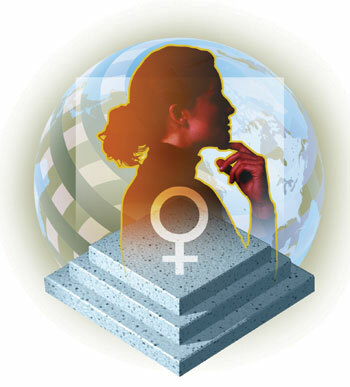 Right here.Tech takes a second turn as a category on the Power Women list. 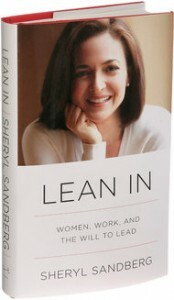 Five tech women made the top 25 this year, including Facebook’s Sheryl Sandberg (No. 6), Ginni Rometty (No. 12) and HP’s Meg Whitman (No. 15). There are 16 tech women in total, including also Susan Wojcicki, SVP of ads at Google (No. 30) and Sun Yafang, chair of Huawei Technologies (No. 77). The rising tide of female entrepreneurs: A remarkable number of women are founders or owners of their own enterprises, not a few of whose eponymous companies are synonymous with high fashion. Consider Miuccia Prada (No. 58), Zara founder Rosalia Mera (No. 66), Tory Burch (No. 69) and Diane von Furstenberg (No. 74). Other self-made self-starters include Oprah Winfrey (No. 13), Arianna Huffington (No. 56), Chinese real estate tycoon Zhang Xin (No. 50), and Kiran Mazumdar-Shaw, India’s first biotech entrepreneur (No. 85). The new celebrity role models: Sure, they’re famous but they deserve special attention for their outside work, be it ambassadors for meaningful causes or as business owners. Oprah founded both Harpo Productions and The Oprah Winfrey Leadership Academy for Girls in South Africa. Joining the efforts of the U.N. are Angelina Jolie (No. 37), Shakira (No. 52), and Gisele Bundchen (No. 95). Beyonce (No. 17) rules the House of Dereon and Sofia Vergara (No. 38) co-owns LatinWE. Businesswomen are booming in Asia: The whole region makes a strong showing, from China and Singapore to New Zealand and Thailand. Entrepreneurship is on the rise: see Zhang Xin (No. 50) , Sun Yafang (No. 77) and Solina Chau (No. 80). And Asian region women are showing their political might, from newcomer Park Geun-hye, the South Korean president (No. 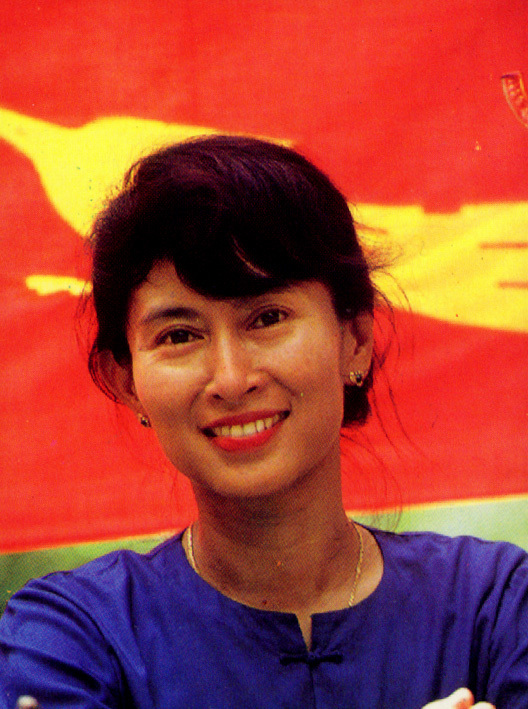 11) and Burmese dissident and parliamentarian Aung San Suu Kyi (No. 29) to Australian PM Julia Gillard (No. 28) and Thai Prime Minister Yingluck Shinawatra (No. 31). Healing, feeding and educating the world: If they’re not topping corporations or state, the women on our list are heads of major nonprofits and NGOs and they wield as large budgets and impact millions, from Melinda Gates (No. 3) and IMF chief Christine Lagarde (No. 7) to Director-General of World Health Organization Margaret Chan (No. 33), World Food Programme Executive Director Ertharin Cousin (No. 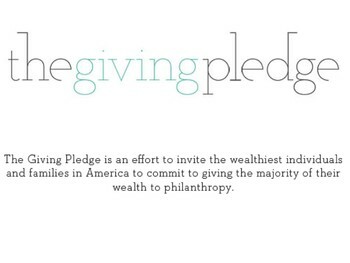 49) and Harvard University’s Drew Gilpin Faust (No. 43). 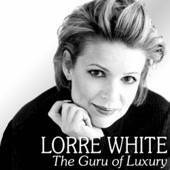 This wonderful celebration of our world’s most successful, most powerful, most wealthy women comes thanks to Lorre White (@Forbes); The Luxury GURU.